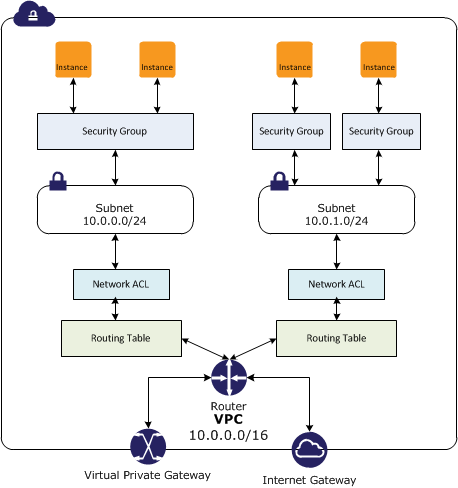 In a VPC, both Security Groups and Network ACLs (NACLS) together help to build a layered network defense. Acts at an Instance level and not at the subnet level. Security groups are evaluated as a Whole or Cumulative bunch of rules with the most permissive rule taking precedence. For e.g. if you have a rule that allows access to TCP port 22 (SSH) from IP address 203.0.113.1 and another rule that allows access to TCP port 22 from everyone, everyone has access to TCP port 22. Security groups are associated with ENI (network interfaces). 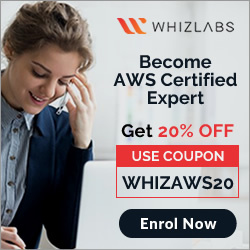 As Security groups are Stateful and they use Connection tracking to track information about traffic to and from the instance. Responses to inbound traffic are allowed to flow out of the instance regardless of outbound security group rules, and vice versa. If an instance (host A) initiates traffic to host B and uses a protocol other than TCP, UDP, or ICMP, the instance’s firewall only tracks the IP address & protocol number for the purpose of allowing response traffic from host B. If host B initiates traffic to the instance in a separate request within 600 seconds of the original request or response, the instance accepts it regardless of inbound security group rules, because it’s regarded as response traffic. This can be controlled by modifying the security group’s outbound rules to permit only certain types of outbound traffic. Alternatively, Network ACLs (NACLs) can be used for the subnet, network ACLs are stateless and therefore do not automatically allow response traffic. A Network ACLs (NACLs) is an optional layer of security for the VPC that acts as a firewall for controlling traffic in and out of one or more subnets. Default ACL allows all inbound and outbound traffic. An instance is launched into a VPC subnet with the network ACL configured to allow all inbound traffic and deny all outbound traffic. The instance’s security group is configured to allow SSH from any IP address and deny all outbound traffic. What changes need to be made to allow SSH access to the instance? The outbound security group needs to be modified to allow outbound traffic. The outbound network ACL needs to be modified to allow outbound traffic. Nothing, it can be accessed from any IP address using SSH. Both the outbound security group and outbound network ACL need to be modified to allow outbound traffic. From what services I can block incoming/outgoing IPs? A benefits enrollment company is hosting a 3-tier web application running in a VPC on AWS, which includes a NAT (Network Address Translation) instance in the public Web tier. There is enough provisioned capacity for the expected workload tor the new fiscal year benefit enrollment period plus some extra overhead Enrollment proceeds nicely for two days and then the web tier becomes unresponsive, upon investigation using CloudWatch and other monitoring tools it is discovered that there is an extremely large and unanticipated amount of inbound traffic coming from a set of 15 specific IP addresses over port 80 from a country where the benefits company has no customers. The web tier instances are so overloaded that benefit enrollment administrators cannot even SSH into them. Which activity would be useful in defending against this attack? 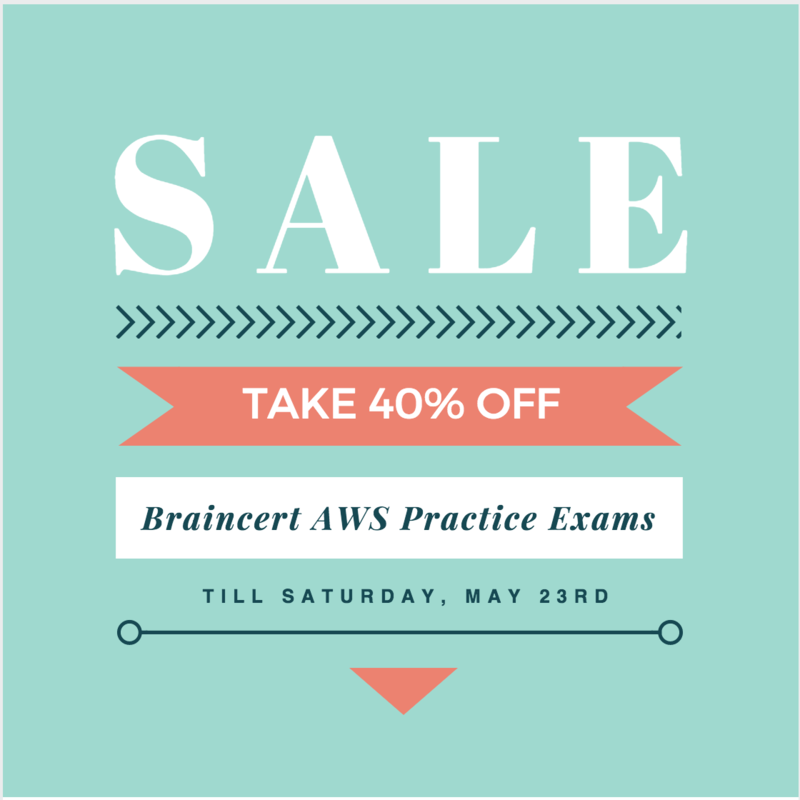 You are designing a data leak prevention solution for your VPC environment. 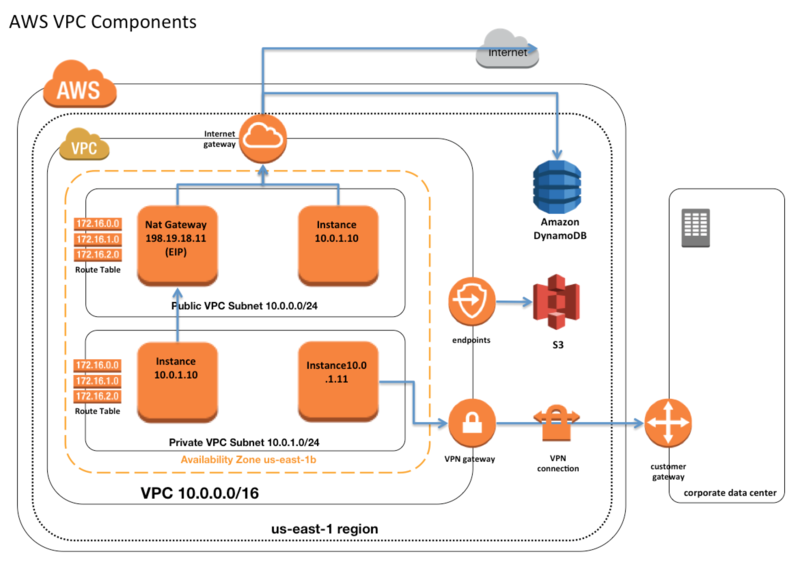 You want your VPC Instances to be able to access software depots and distributions on the Internet for product updates. The depots and distributions are accessible via third party CDNs by their URLs. You want to explicitly deny any other outbound connections from your VPC instances to hosts on the Internet. Which of the following options would you consider? Implement security groups and configure outbound rules to only permit traffic to software depots. Move all your instances into private VPC subnets remove default routes from all routing tables and add specific routes to the software depots and distributions only. Implement network access control lists to all specific destinations, with an Implicit deny as a rule. Immediately to all instances in the security group. Immediately to the new instances only. Immediately to the new instances, but old instances must be stopped and restarted before the new rules apply. To all instances, but it may take several minutes for old instances to see the changes.